It’s only been out a few days and Apex Legends already has a high profile event on Twitch. 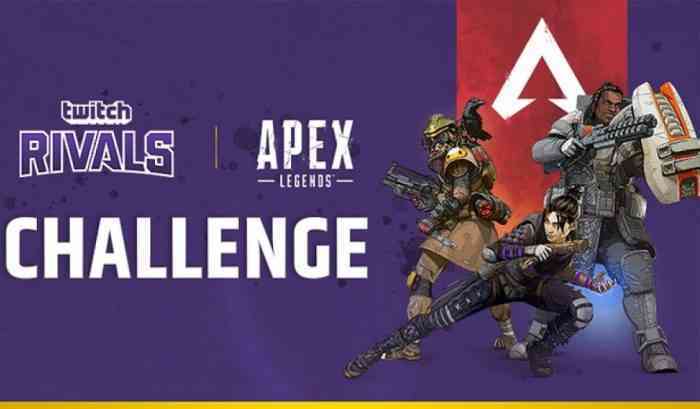 The event will be hosted on the Twitch Rivals channel and will feature at least one date of Apex Legends. If you do not know what Twitch Rivals is, it is a professional gaming series where streamers compete in various games for prize money. The recent game events hosted by the channel have had Rainbow Six: Siege, Counter Strike: Global Offensive, Dota 2, and Hearthstone, just to name a few. Five days from now, the first Apex Legends event will take place. So, what are the details? The event will be split into two divisions: North America and Europe. Eight teams of three will participate in each division. That’s a total of forty-eight players. For each division, there will be a four hour window to participate and rack up as many points as they can. Points are earn by teams getting match-wins, which earns five points, and kills get one point each. The teams will queue up separately, so they will not likely play against each other directly. Each division has a ranking system for prize money: 1st place team wins $8,000, 8th place earns $3,000, and all other teams earn somewhere in between. But the event is called Twitch Rivals. Who are the competitors? Not everyone has been announced or come forward, but so far we have DrDisrespect, Sacriel, TSM_Myth, Disguised Toast, RealKraftyy, and shroud. Those are just six of the forty-eight players competing, so keep an eye out for your favourite streamers. Will you be watching Apex Legends Twitch Rivals? Let us know in the comments below. And be sure to keep up to date with all our Apex Legends news on our site.